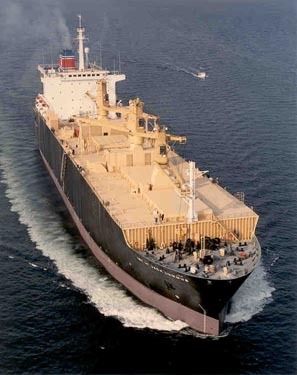 The construction of five Maritime Prepositioning Ships for the U.S. Navy commenced in 1983 at General Dynamics' Quincy Shipbuilding Division in Quincy, Massachusetts, and named for Marine Corps Medal of Honor recipients. The five Quincybuilt Maritime Prepositioning Ships have responsibilities in the Eastern Atlantic Ocean, Mediterranean Sea and Western Pacific Ocean. The 2ND LT JOHN P BOBO is a regular part of MPS Squadron One, which is part of the Military Sealift Command Prepositioning Program in the Eastern Atlantic Ocean and Mediterranean Sea, and operates in the U.S. Navy's 6th Fleet area of operations. The PFC DEWAYNE T WILLIAMS, 1ST LT BALDOMERO LOPEZ, 1ST LT JACK LUMMUS and SGT WILLIAM R BUTTON are a regular part of MPS Squadron Three, which is part of the Military Sealift Command Prepositioning Program in the Western Pacific Ocean, and operates in the U.S. Navy's 7th Fleet area of operations. Squadron One operates in European waters without a permanent homeport in that area. Although Squadron Two cannot boast of having a Quincybuilt MPS as part of its squadron, it is part of the Military Sealift Command Prepositioning Program in the Indian Ocean, and operates out of Diego Garcia without a permanent homeport in that area. It operates in the U.S. Navy's 7th Fleet area of operations. Squadron Three operates out of Guam and Saipan without a permanent homeport in that area. The squadrons' mission is to provide swift, precise and effective sea transportation of vital equipment and supplies to a designated area of operations. Since their inception Squadron Two has operated in support of operations Desert Storm in the Persian Gulf, Restore Hope in Somalia and Support Hope in Kenya/Rwanda, and Squadron Three has operated in support of operations Desert Storm in the Persian Gulf and Restore Hope in Somalia. The three squadrons generally participate in one major Maritime Prepositioning Force exercise per year.